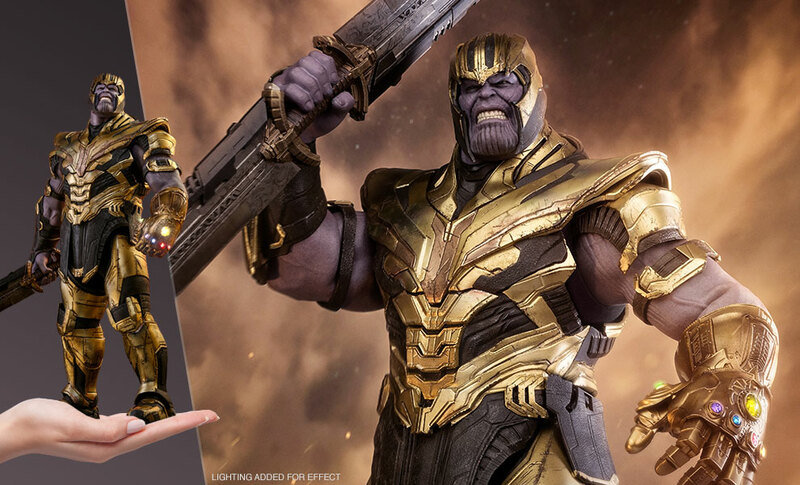 Avengers: Endgame trailer no 4 confirms Thanos new weapon. The pre-ticket sales for the Avengers: Endgame is going wild over at the online ticket window. Certain sites even went under a momentary blockade due to consumers’ excess flocking. And as if it couldn’t have gotten any bigger, Marvel dropped a new but possibly a final trailer for Endgame--which has now just enhanced that ticket hassling to even further extent. But most importantly this new footage is showing a striking new detail from the movie. First and foremost, Thanos (Josh Brolin) finally showed up after playing a low-key role in all of the previous promotional clips. The last scene of the trailer shows him beaming down through his ship, Sanctuary II to seemingly battle Iron Man, Captain America, and Thor. As he arrives in a blue haze, one can assume that he is using the Space Stone. However, there’s one key explanation why it’s unlikely that the villain is displaying the powers of the Infinity Stone here, and thanks to ComicBook.com for marking it out. When the mad titan appears in this particular scene, a slightly wavering blue effect is used. On the contrary, in earlier examples of the Space Stone being used to roam through the universe, usually, a portal surrounded by a kind of blue smoke would have been on the background. However, the more basic effect used in the Endgame promo insinuates that Thanos wasn’t using the blue gem. In addition, this also fits with how the Infinity Gauntlet was depicted at the end of Avengers: Infinity War. Following the decimation that wiped out half the universe, the device was shown in the state of a burned-out wreck. Likewise, it can be seen that Thanos’ arm is badly damaged and disfigured by the discharge of cosmic energy that misfired against him when he used the Gauntlet for such a monumental purpose. This absolutely confirms the Gauntlet is at any state but functional. So, it looks like the Tony, Steve, and the God of Thunder will be more on the equal level when they go against the Thanos for the showdown #2. What’s more, he must be shielding his armor again as his left arm is still scarred from the snap. Without the Stones or the full use of his arm, the Big three might just have a bigger chance at beating the giant mutant than they had in Infinity War. 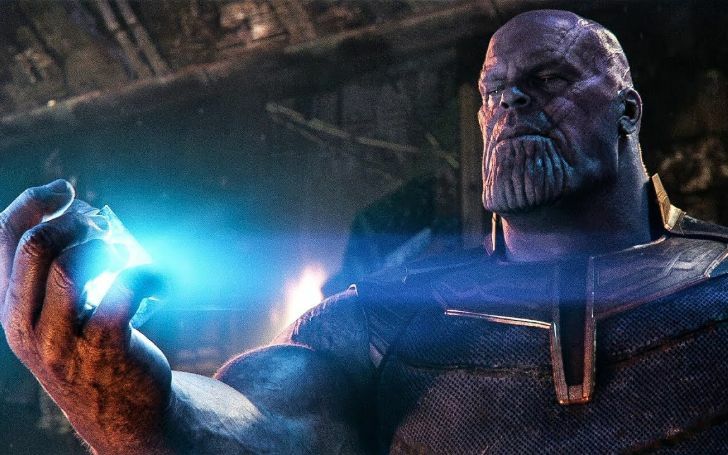 Thanos set to arm his double-edged sword in Avengers: Endgame. But, still, the death-worshipping god isn’t something to take for granted; even when he had one stone, he pinned down the mighty Hulk and wrecked the Asgardian vessel almost at the push of a button. And though he may not have the benefit of cosmic powers, he is now boasting a massive double-edged sword which is itself is reported to have been forged by super-celestial forces.